The last time that Mose McCormack, the Alabama-born country singer and songwriter now living in Belen, released an album (2009’s After All These Years), I noted that it had been 12 years since his previous record, Santa Fe Trail. And it had been 16 years between Santa Fe Trail and the one before that (1981’s Mosey Mac). 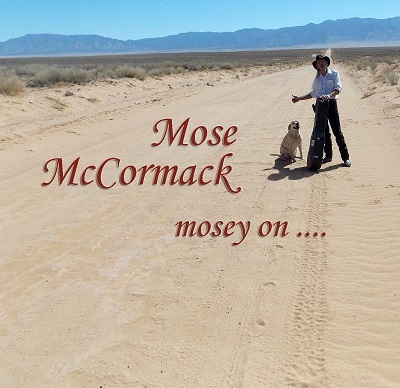 So, I’m happy to report that McCormack’s new one, Mosey On … is out a mere four years since the last one. For McCormack, that might be a land speed record. I’m even happier to report that once again McCormack has created an ace collection of songs. Though he’s not nearly as famous as he ought to be, McCormack is a credit to the entire genre of country music. I recognize a handful of these tunes from a live performance on my radio show The Santa Fe Opry a few years ago. Among those are the best tracks on Mosey On … . First there’s “Under the Jail,” an outlaw tale that starts out with the line “Robbed a bank in Colorado/I rode my horse to death near the Taos County line.” The refrain begins with a little Woody Guthrie populism: “Stealin’ is stealin’ far as I can tell/ The outlaw and the banker meet on the road to hell.” But then the tone shifts to “Mama Tried” guilt: “Mama always told me, I remember well/‘Son, they’re going to put you under the jail.’ ” I think we can all agree that being under the jail is worse than being inside the jail. Not all of McCormack’s songs deal with fugitives from justice, jails, and seedy cantinas. For instance, the banjo- and fiddle-driven “Honeysuckle Vine” is nothing but a sweet love song. “Sweeter than molasses, that pretty little gal of mine/When she wraps her arms around me like a honeysuckle vine.” On “Mr. Somebody,” a cool honky-tonk shuffle, the narrator is a middle-aged guy who realizes that his youthful “dreams of flying” are now dreams that are dying. Like nearly all of his albums since his 1976 debut Beans and Make Believe, Mosey On … was recorded at Albuquerque’s John Wagner Studios. Wagner plays guitar, accordion, and drums on the record. McCormack has a sturdy bunch of New Mexico musicians behind him. And almost every time I play this record, I find something else to like about it — a fiddle lick, a clever lyric. I just hope it doesn’t take years and years for McCormack to do another record. 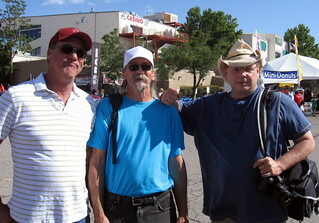 Mose is playing live on The Santa Fe Opry at 10 p.m. tonight (Friday, June 14) on KSFR-FM 101.1 FM and streaming at www.ksfr.org. 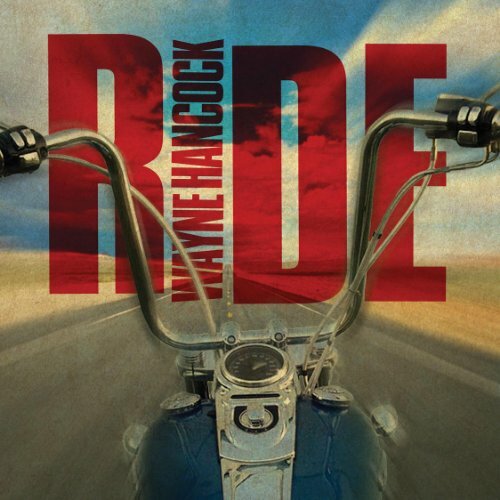 * Ride by Wayne Hancock. Apparently in the past few years, Wayne “The Train” could have turned into Wayne “The Train Wreck.” His wife left him, and he ended up in rehab a couple of times. His backup band broke up. And if you think that sounds like a recipe for some country songs, you’re thinking right. Hancock — a master country traditionalist whose blend of juke-joint blues, western swing, rockabilly, and Hank-style heartache songs — unabashedly writes about his life. One of the strongest songs here is “Deal Gone Down,” a brutal little tale based on a true story about a guy who went into some Texas juke joint — his wife had been having an affair with the bartender — and he shot up the place and killed a bunch of people. “Well that was 30 years ago but it seems like it was yesterday/And all the blood turned to dust, and the rain came and washed it away.” And that’s why I love country music.